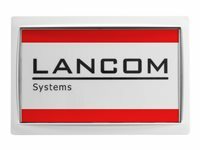 Wireless ePaper Displays from LANCOM offer digital signage for a wide range of applications. The displays are controlled by an innovative wireless technology with extremely low power consumption. They provide flicker-free viewing from any angle. The contents are always visible under artificial lighting.